If you focus on a few of your favorite leaders from any segment of business, social media, politics, or science and ask yourself why you particularly admire these individuals. Chances are high that you are in admiration of them because of their many accomplishments and success. The interesting thing to note here is that everyone on your list of leaders to admire reaches you at an emotional level. The ability to connect and reach people in a way of emotional means transcends the intellectual and rational aspects of ourselves, which in turn makes a good leader. The bottom line being, great leaders inspire us. Inspiration leads to working within our best selves and delivering our best work. The interesting question lies within this characteristic to inspire others; can it be learned? The truth is that not everyone is cut out to lead and there is no substitute for natural leadership skills. 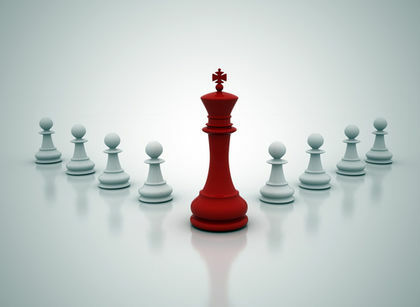 However, those who fall short within being a natural born leader can rest assured that certain highly important and effective leadership skills can be acquired and perfected. Great leaders are empathetic and have the ability to read and understand other people’s needs. This allows them to speak directly to those set of needs that are most pressing in any given situation and possibly gives them a better chance of fulfilling them. Thus, this helps leaders create a true, lasting bond. Great leaders know that learning and acquiring knowledge and new ways of thinking never stops. It is an ongoing process of thinking, learning, and shaping new ideas. Curiosity is a great indicator of a good leader, as well as investing in themselves. Great leaders respond to a challenging situation with a fresh outlook. They realize that what worked in one situation may not work in the current one. Before they act, they gather the specifics of each situation and shape their actions accordingly. Leadership is not control. It is about inspiring and then getting out of the way. They know that talented and competent individuals do not need or desire hovering micromanagers. Leadership is mainly about influence, support and guidance. Being a leader is just another role in the whole picture of things. This is the most important characteristic of a leader. Leaders lose credibility when they are dishonest and this is often because of the pressure to try to measure up to others, and it is not originating from a place of being a real contributor. If you have a reputation of honestly, it will make your deliverance of solutions to problems much easier. Nice people don’t finish last. The finish first and first over again. Ignorance and arrogance are the biggest leadership killers and also a major mark of insecurity. Treating people with a level of respect is an absolute must and kindness is the gift that keeps on giving. Being a good leader means being open to working with others equally and utilizing their ideas in conjunction with yours. It means doing what is best for the whole of the organization and communicating goals and challenges in the best way that you can. Find out what your people’s goals are and help then pursue their desires. You will gain happy and productive employees who will work at the top of their potential with passion and full commitment. This is a branding opportunity to spread your greatness. Leadership being both an art and a science has guidelines for success. Not every leader will take the same classes, read the same books or articles, or even have the same personality type. Make these tools a general idea of what makes a good leader and implement them as a basis to build your influence. Overall, reach people at an emotional level by being human. That is probably the most important thing that makes a difference.